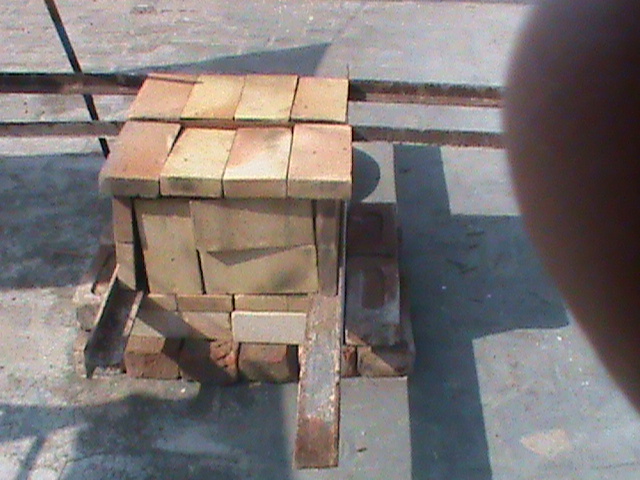 Brick Oven is another of my DIY projects which was very exciting. 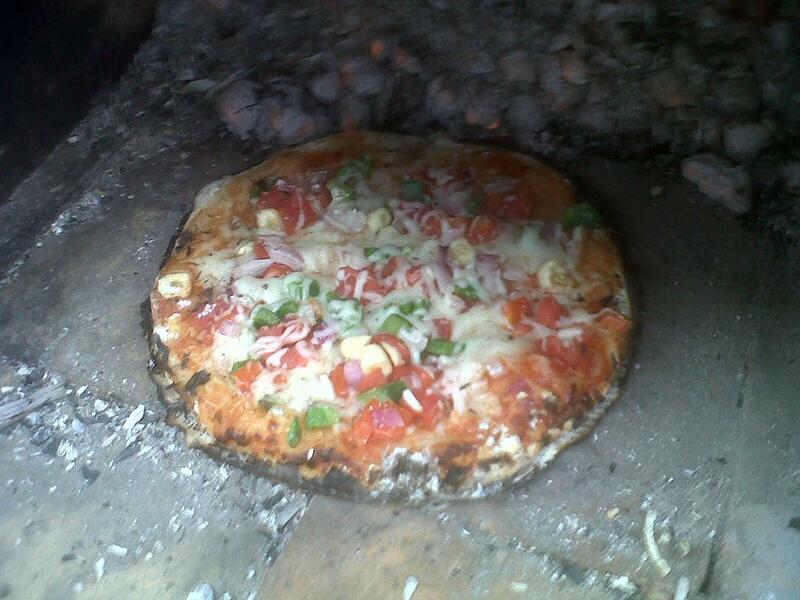 It gave me an opportunity to test the efficacy of the concept and even bake some pizzas in it. It was a huge success. You will see some photos below. 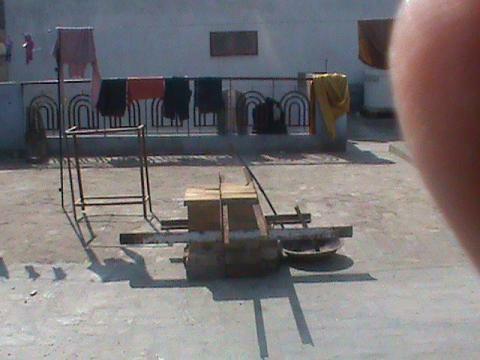 It is on the roof of my house. 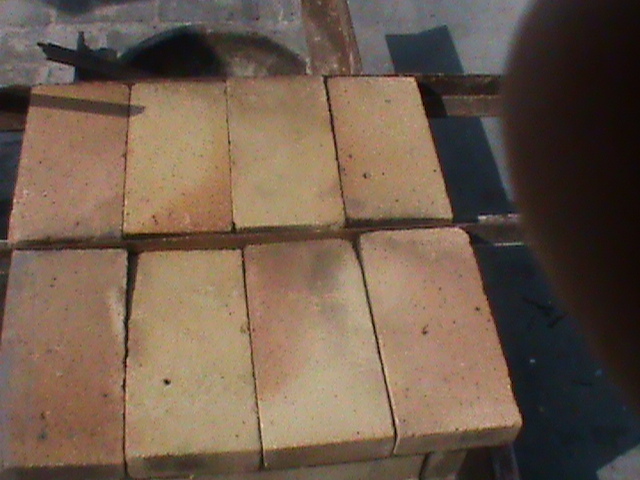 Photo 3 shows the slightly uneven top of the brick oven. There's close - up below in which the unevenness can be clearly seen. 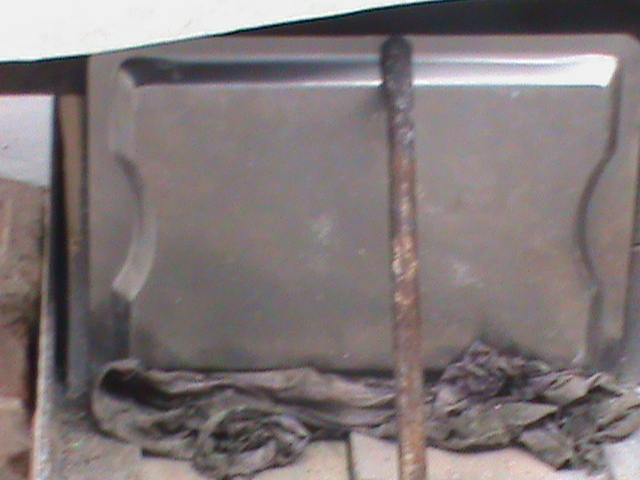 Photo 4 shows that the angle irons and the T-iron (on the floor of the oven) are over-sized. Didn't have the implements to cut these irons. Am going to ask for some help to do so. 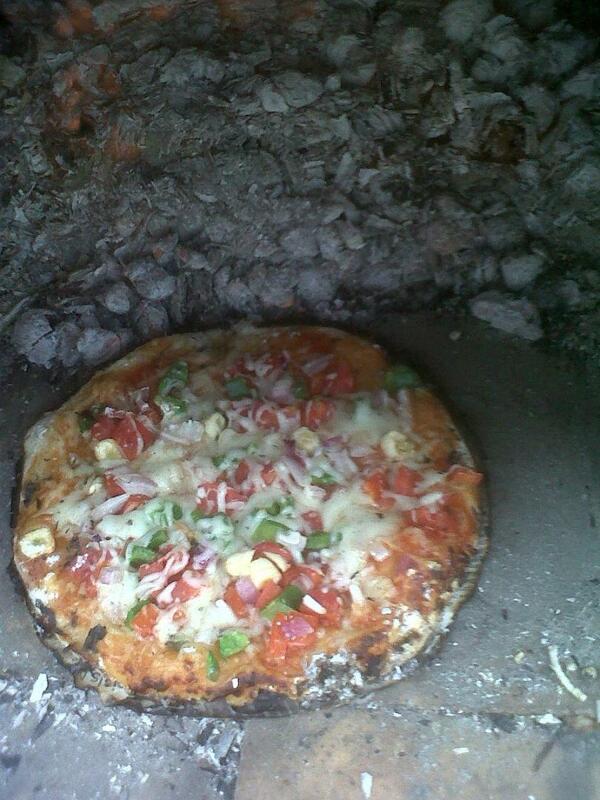 Photo 5 shows the back of the brick oven. 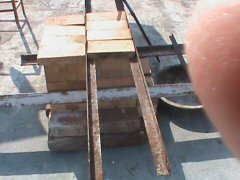 One of the horizontal fire-bricks is jutting out. That happened as I was stoking the fire and accidentally nudged the brick in the back wall. The back wall has two layers to try and keep the heat from escaping through the open crevices. 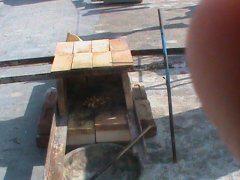 You can also see that the bottom layer of the oven is made of red-bricks. On that is a layer of insulating bricks - the white ones. There are ten of them below the floor of the oven. They really worked. 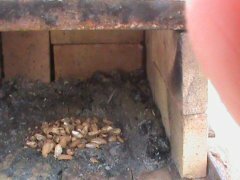 Even when the oven was smoking from all the crevices and the fire inside was raging, the layer of insulation and the red-brick layer was cool. 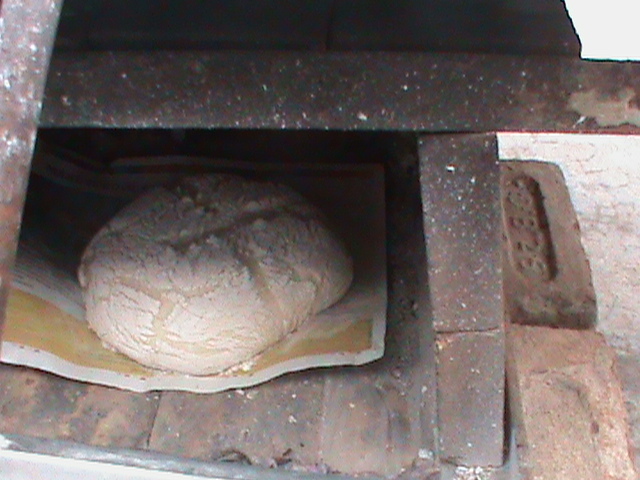 Photo 6 shows the uneven roof of the oven. 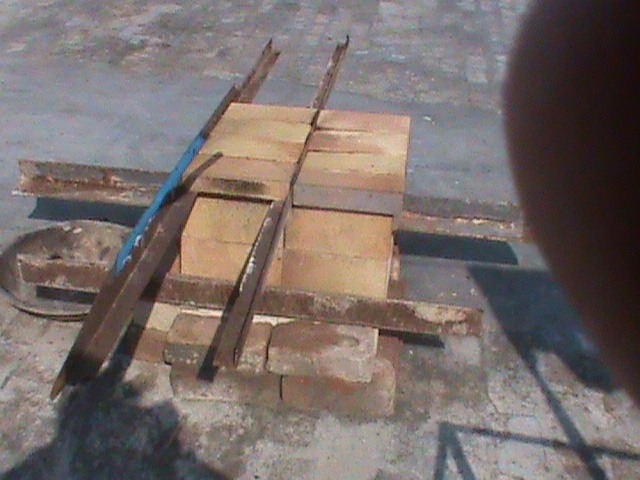 I needed another piece of angle iron to support the back bricks, one ends of which were resting on the back wall. Hopefully I will get some help in cutting the two angle irons into 5 pieces of 19" soon. Then the roof will be even. Photo 7 shows the left side view of the oven. 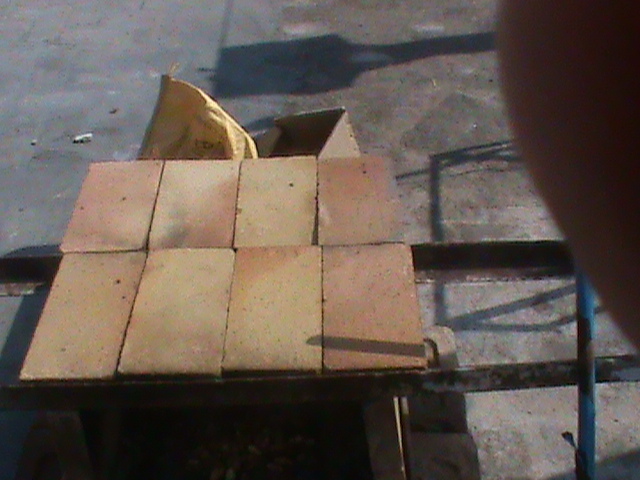 You can see that the red bricks are not in contact with floor of the oven. 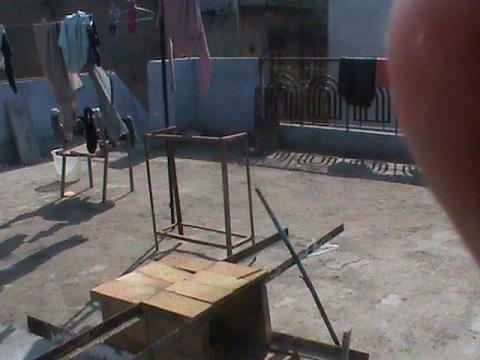 Photos 8 and 9 show that the oven is on the roof of my house in New Delhi, India. In Photo 8, the white wall with a hatched window at the far-end belongs to my next-door neighbor. In photo 9, the creamish yellow wall with windows at the far end belongs to my front-door neighbor. Photo 10 shows the firing of the brick oven. It was 1 pm on the 4th of February 2013. 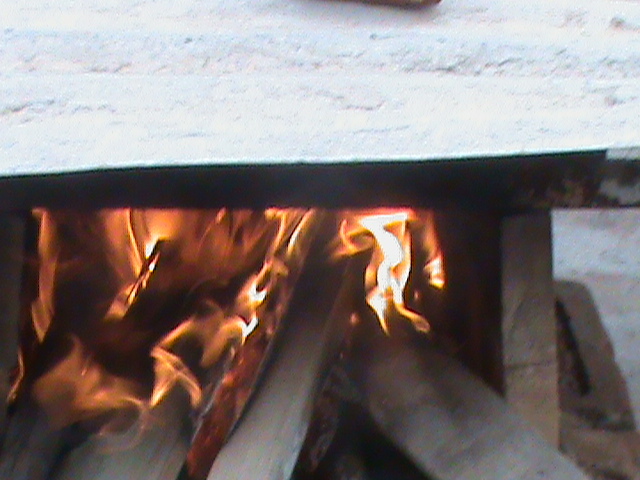 I used up a little over 5 kilos of firewood. Photos 11 and 12, show the first Pizza of the day. The dough was made at home using the recipe in the book - 'Bread Earth and Fire' by Stuart Silverstein on page 213. The Pizzas were a huge success. I baked 6 such Pizzas and it was a lot of fun. Photo 13 shows the sourdough bread 15 minutes into the baking. I used the recipe by Stuart Silverstein in his book, 'Bread, Earth and Fire' on page 112. This baking was not a success though. 45 minutes into the baking the bread did not look much different. So, I finished it in my convection oven. The crumb is airy and great, but there was no browning whatsoever. I suppose that the oven was not hot enough. 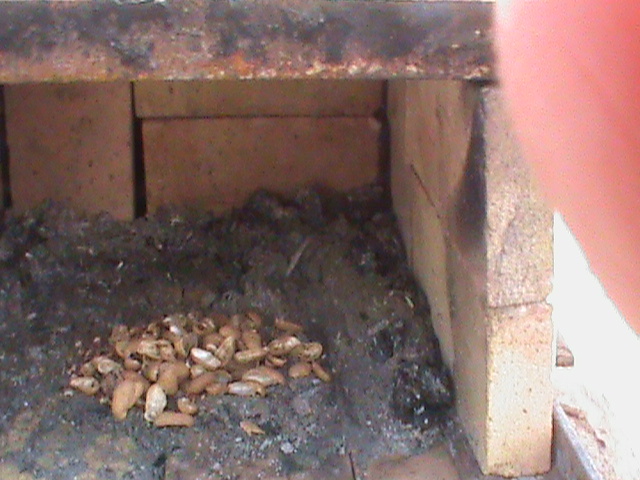 Photo 14 shows a steel tray acting as the door of the oven. Don't worry - your e-mail address is totally secure. I promise to use it only to send you the free e-zine.